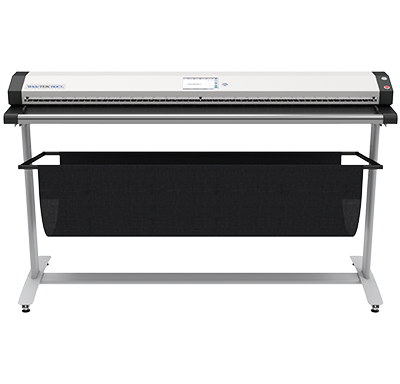 The WideTEK® 60CL-600 is by far the fastest 60 inch color CIS scanner on the market, producing production quality images at 8 inches per second for 150 dpi in full color. 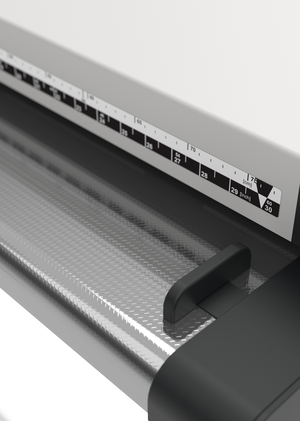 At the full width of 60" and 600 dpi resolution, the scanner still runs at 1 inches per second. The scanning speeds are tripled in black and white and greyscale modes but the speed can be limited if required to scan fragile, valuable documents. All of these speeds are guaranteed, due to the Scan2Net® technology integrated in the scanner´s own built in 64 bit Linux PC and 16GB of memory. It is a true standalone system capable of scanning directly to FTP servers, hot folders, USB drives, to cloud applications in the internet or copying to printers directly, without the need for an extra PC. The WideTEK® 60CL has what it takes to run in a production environment 24/7, while still being among the lowest priced scanners of its size on the market. Through reengineering and utilizing the most advanced CIS modules, the WideTEK 60CL is truly the fastest CIS scanner available. Document rotation is done on the fly, a scan of an E-sized / A0 document in landscape at 300 dpi in 24bit color takes less than 7 seconds to scan and another 1,5 seconds to crop & deskew, preview, cleanup, compress and store anywhere in the network. The WideTEK 60CL exceeds FADGI *** guidelines and complies with the ISO 19264-1 standard. 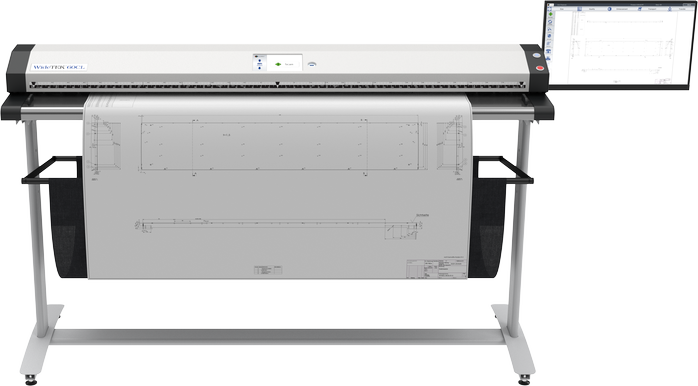 The WideTEK® 60CL processes documents up to 61,85 inches wide with a maximum scanning width of 60 inches, producing extraordinarily sharp images, with color accuracy even superior to competing CCD scanners. Document rotation is done on the fly, a scan of an E-sized / A0 document in landscape at 300 dpi in 24bit color takes less than 7 seconds to scan and another 2 seconds to crop & deskew, preview and store.